I have been a registered Driving Instructor since December 2006 and attained my ADI teaching badge in January 2007, awarded by the Driver and Vehicle Standards Agency (DVSA). I have over thirty years of driving experience passing my own driving test, aged 19, at the first attempt. I am very approachable and am assured by my past and present students that I put people at their ease. Testament to this is the fact that I managed to successfully teach my own two daughters with the minimum of friction! My original working background is in Quality Engineering, having served an apprenticeship and worked my way up through various disciplines demanded of the role. The soft skills I acquired as a quality engineer, i.e. attention to detail and methods of meticulous practise, are attributes I have applied to my teaching methods. I like to ensure my students learn the value of good practise and that they know how important it is to take responsibility when they enter any vehicle. 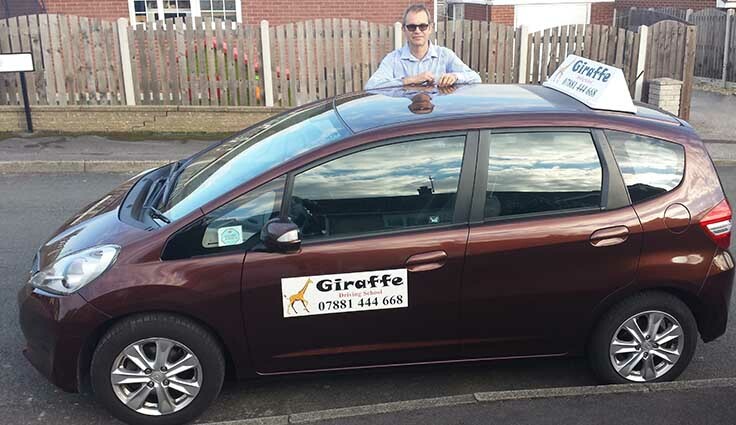 My students take their tests at test centres in Worksop, Sheffield Handsworth and Rotherham and I therefore have extensive knowledge of many of the driving test routes. I am registered with the DVSA to help advance driving skills through the Pass Plus scheme which incorporates motorway driving. As this is one area not covered in the standard driving curriculum many students find motorway driving stressful once they find themselves alone in a car for the first time. The Pass Plus course gives them the opportunity to not only put their motorway theory into practise, but to experience what it is like to drive for long periods of time. My Pass Plus training usually involves a drive to the seaside inclusive of fish and chips! Some, though not all, insurance companies like drivers to have passed a Pass Plus course and this is reflected in their quotes. So what can you expect from me? I am DBS checked (i.e. approved to work with young and vulnerable people), and I carry comprehensive public liability insurance. Personally, my aim is to maintain standards by continuously improving my own performance and offer a friendly, individually tailored driving experience for my students.